For the selection of the raw ingredients we use, we searched for products of excellent quality which satisfied us also by an ethical point of view. We live looking for better in the present looking also to the future. Being Organic means Natural and made of all that Nature offers. Care of lands and natural contests, optimization of resources, increase of employment. Otto Chocolates 2015 latest products are the Quinoa and Incaberries snacks and the Spreadable Cream. All organic, Fairtrade and Gluten Free’s Ticked Spike certified! 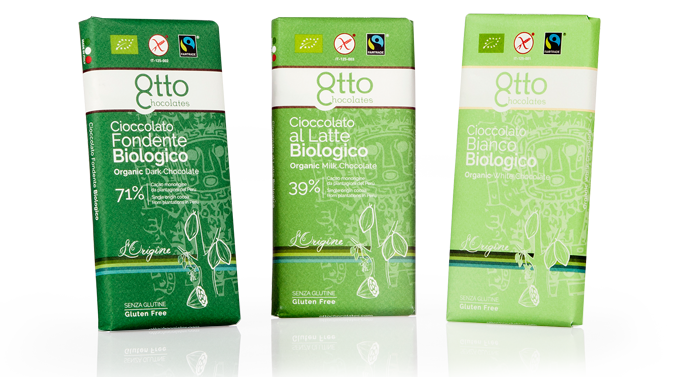 Otto Chocolates - Organic and Fairtrade Peruvian Chocolate. The history of Cocoa started thousands years ago. The history of Chocolate started hundreds years ago. The history of Otto Chocolates starts right now, and it will "make history" for the several characteristics of the project. 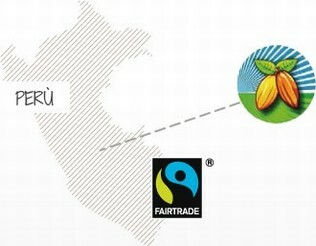 1 We use only fine trinitario cocoa, organic certified, Peruvian. 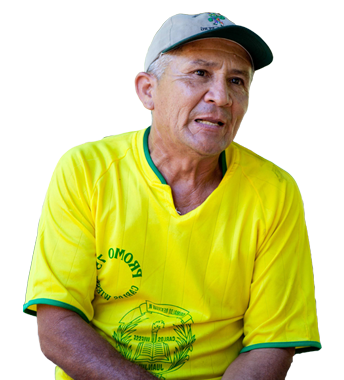 2 This cocoa comes from Acopagro, a cooperative which respects the Fairtrade standards as well as Otto Chocolates, working with extreme care in the plantations, - even taking off fields to the coca leaves plantations-? 3 We process our cocoa and produce our chocolates in a state of the art factory, with very high standards in Control, Technique, and respect of the raw ingredients. 4 We developed only 5 recepies, all excellent, in 3 differnt sizes (20, 35 and 100 grams) to bring you in all the different moments of the tasting and during the day, with no wasting and at the right price. 5 We distribute our products in very different contests in order to let you find our chocolates everywhere. 6 We invest directly in small social projects of Assistance, Education, Health in Perù, to sustain the development of the local communities. 7 We carry on an innovative form of communication with labels on our products clear and readable, with a direct and transparent website, with QR codes on our packaging, being on social networks, exchanging informations with customers and users. 8 We are an Italian Company, private and with no public financing, who produce and work in Italy, with no connections to big marks and foods or sweets multinationals. In short: Otto Chocolates is Good, Healthy and....at the fair price for All.